Unhinged……. – The Tundra Tabloids……. The recent letter sent by Iran’s moonbat president, Mahmoud Ahmadinejad to George W Bush, can be safely described as the deranged ramblings of a man not dealing with a full deck of cards. Victor Hanson in an interview with Hugh Hewitt describes it this way: “I mean, statesmen don’t write 18 page letters to each other” Here is Ahmadinejad’s rant in full. The world must take seriously the deranged words of this lunatic. A Wall Street Journal op-ed has him down as certifiable. • “The brave and faithful people of Iran too have many questions and grievances, including . . . [the] transformation of an Embassy into a headquarters supporting the activities of those opposing the Islamic Republic. . . .” That’s the U.S. Embassy he’s referring to. p.s. 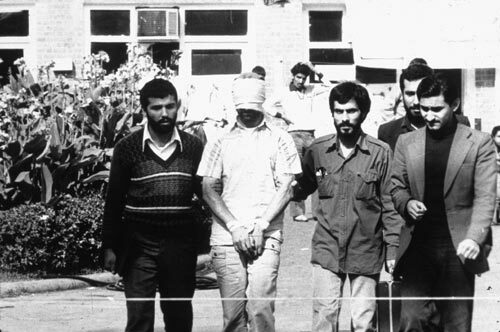 The picture is of the hostage taking ring leader, Ahmadinejad, with an American hostage after the over throw of the Shah of Iran. Previous Post Previous Post Ol’ Scruffy’s Pleased……. Next Post Next Post Philipino Maid Refuses The Role Of Concubine…….